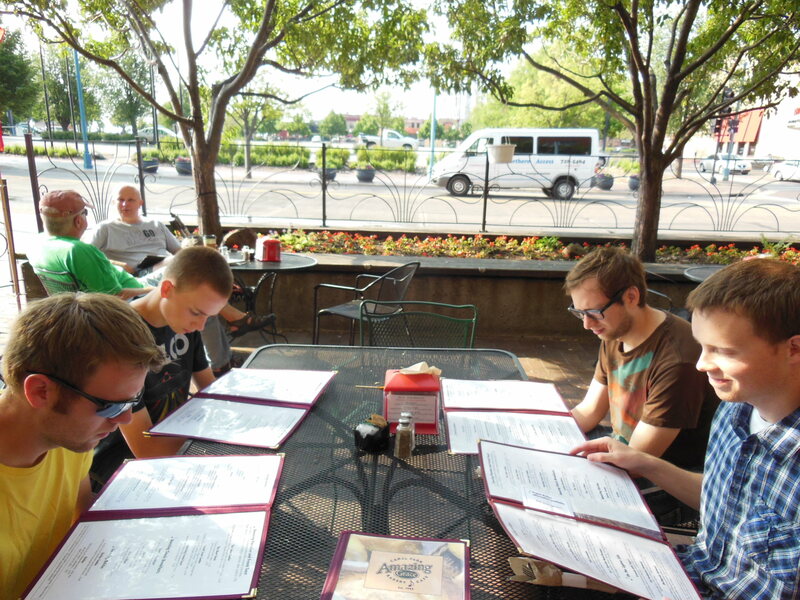 This past weekend, five of us piled in my little grey Nissan and drove six scenic hours south to Duluth, Minnesota. Our motivation? 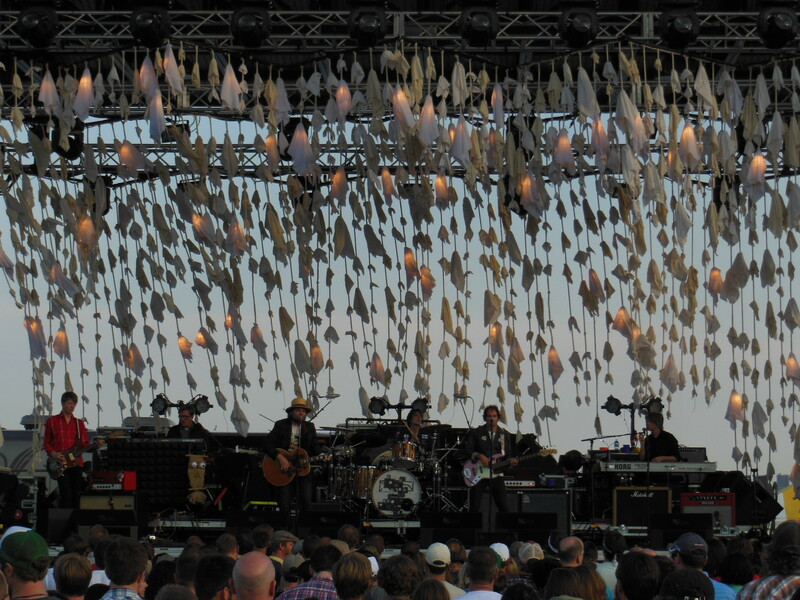 Wilco was coming to town, playing an outdoor show at Bayfront Festival Park, located on the cusp of Lake Superior. It was a perfect evening. Sunshine, water, bare feet, boats, bands, food and drink, what more could one want on a long weekend summer evening? 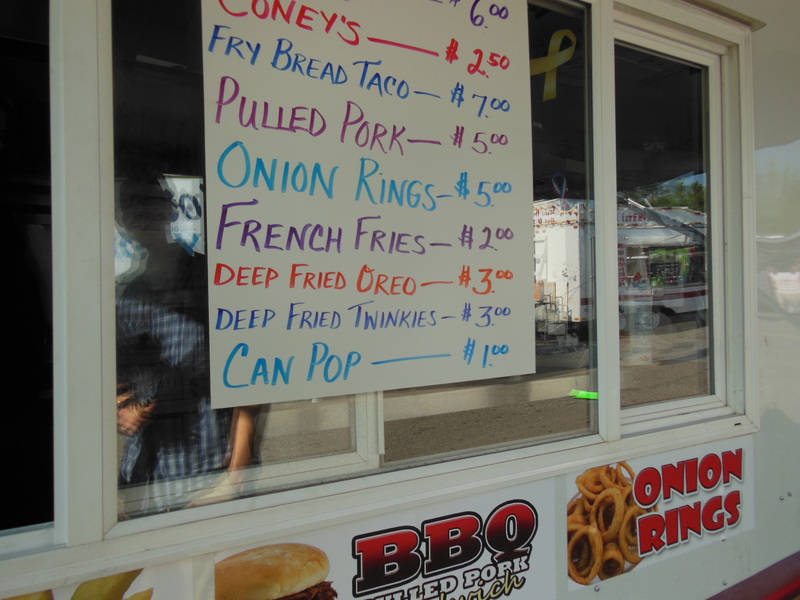 It was an ideal venue, with the crowd spread out on blankets and lawn chairs. 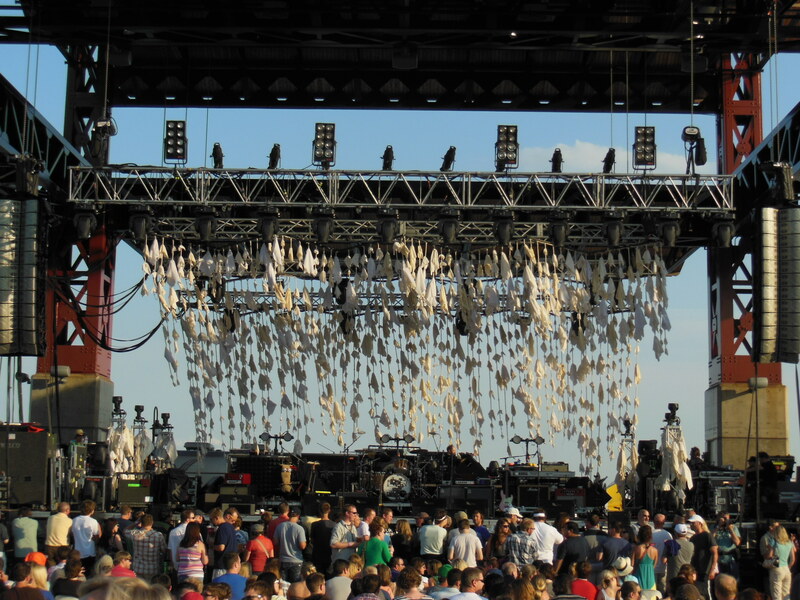 The band’s beautiful tattered cotton backdrop swung gently in the breeze, the sun went low, and the band played on and on through two encores. Somehow the encores were even more energetic than the main set (listen up, “dad rock” haters). 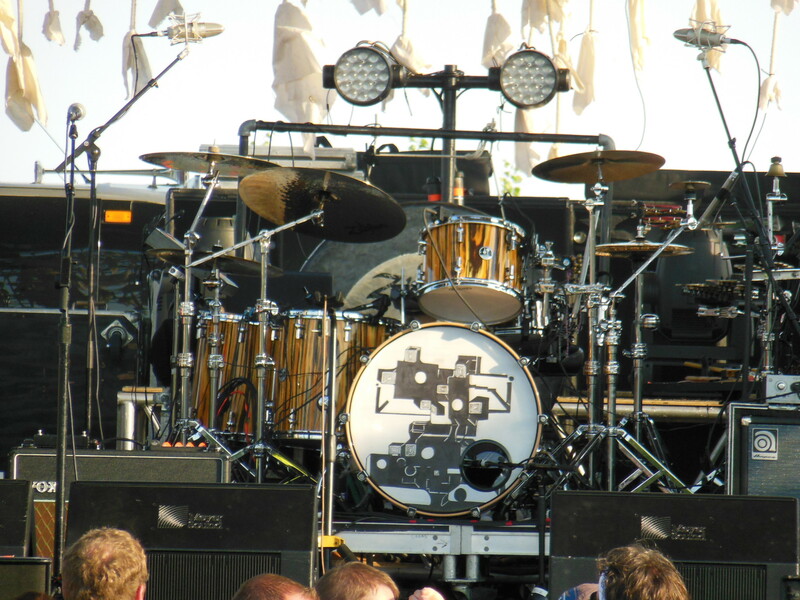 Drummer Glenn Kotche was an absolute powerhouse, the unquestionable epicentre of energy that propelled the band forward. His work on “The Whole Love” and “Born Alone” was incredible to watch. He really is one of the most talented drummers alive. The sound mix was great, allowing each of the six members to be heard. I particularly enjoyed John Stirrat’s uplifting bass lines and Mikael Jorgensen’s tasteful organ flourishes. 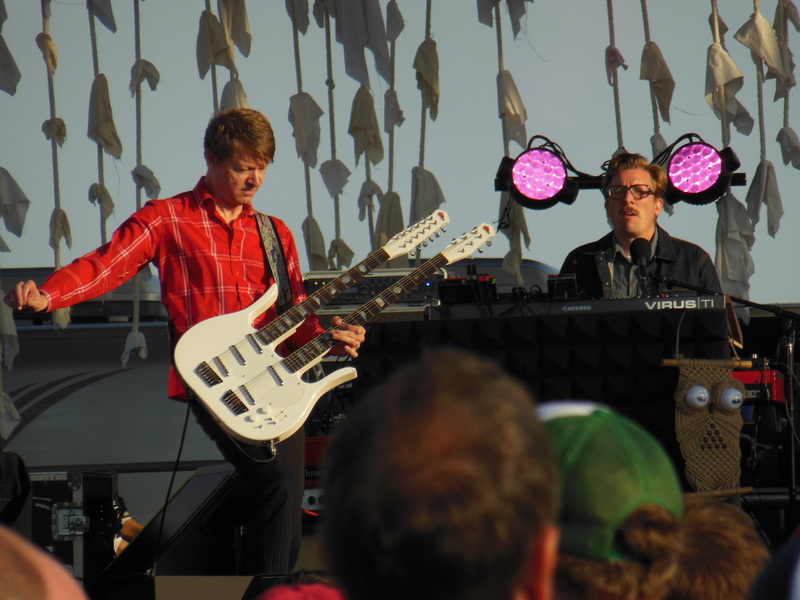 And Nels Cline may be the only guitarist who can pull off the double-necked guitar without being ironic. 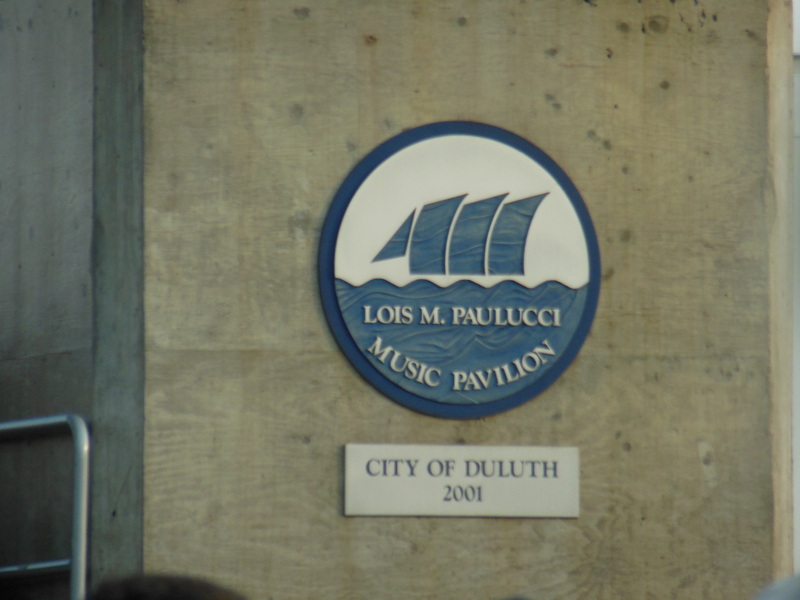 As we discovered halfway through the show, Wilco were named honorary citizens of Duluth last time they were in town. 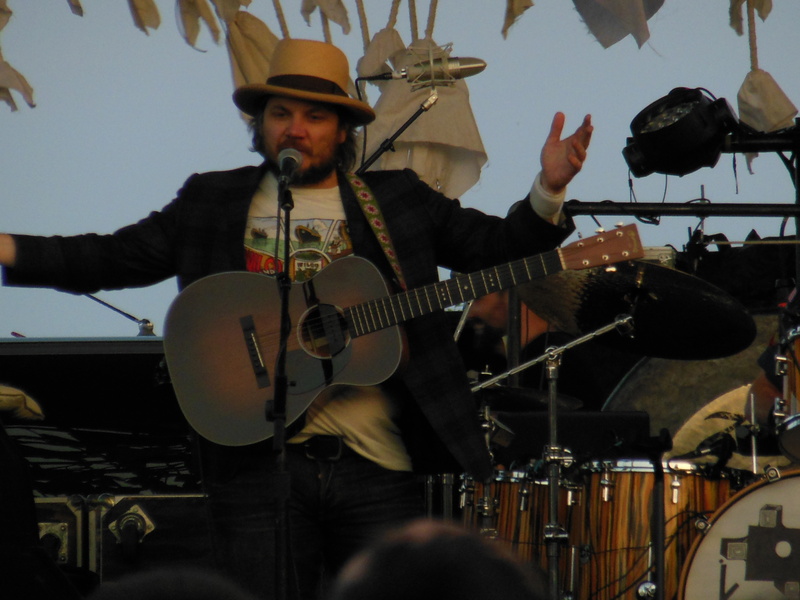 During the encore, the mayor was hoisted onto some shoulders and delivered a key to the city to Jeff Tweedy. 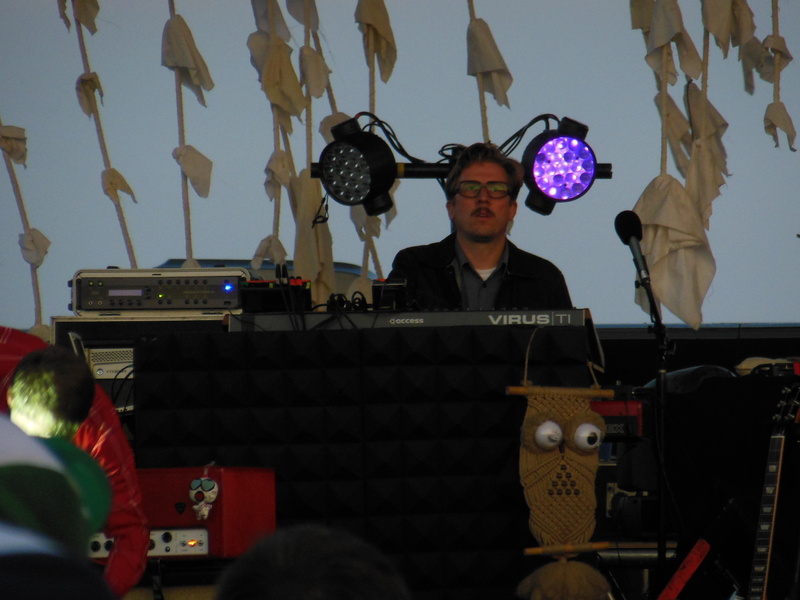 “That’s the weirdest thing I’ve ever seen,” remarked Tweedy mid-song. You can read more about the show in the review from the Duluth Star-Tribune. 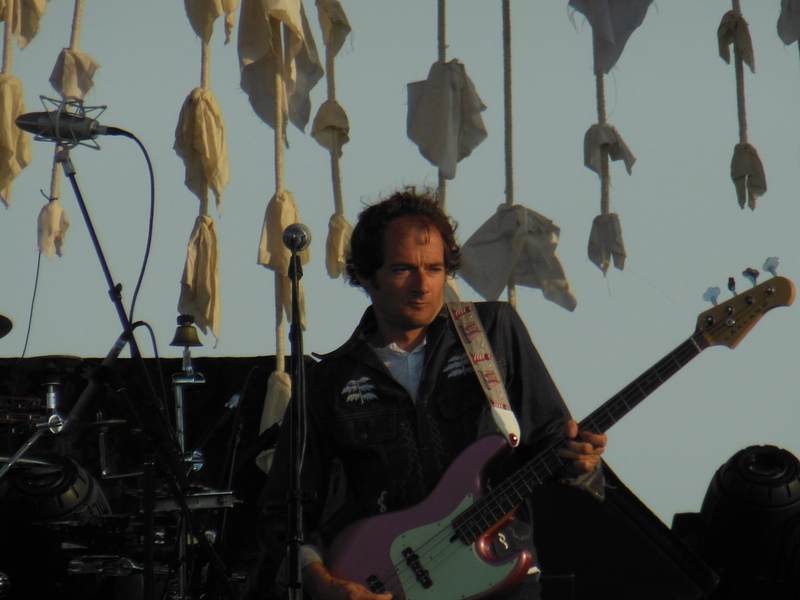 Below are some photographs my wife took at the concert (click to enlarge). The set list and full breakdown can be seen here. 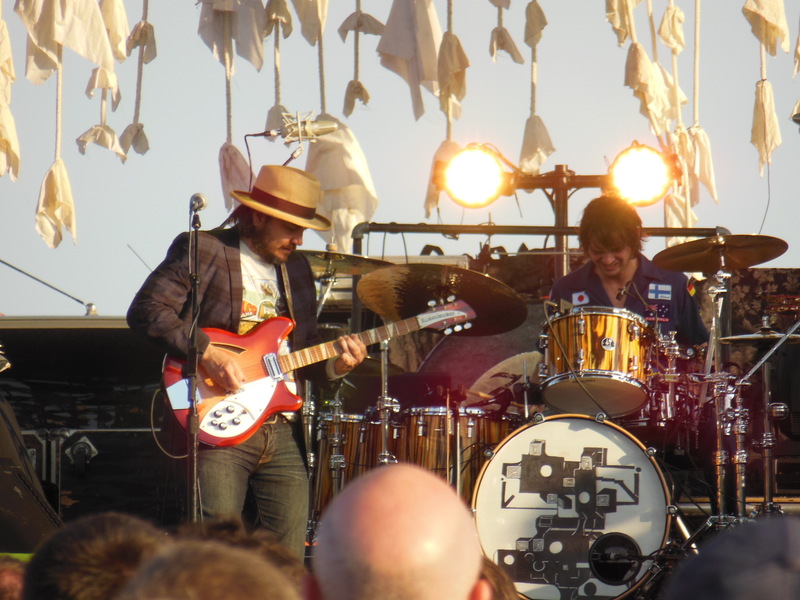 Although we didn’t get to hear “One Sunday Morning,” I was blown away by “Art of Almost,” “Handshake Drugs,” “Poor Places,” and the many re-imagined cuts from Being There and Summerteeth. Not to mention Jeff’s lead guitar work on “At Least That’s What You Said,” which has one of my favourite solos of all time. 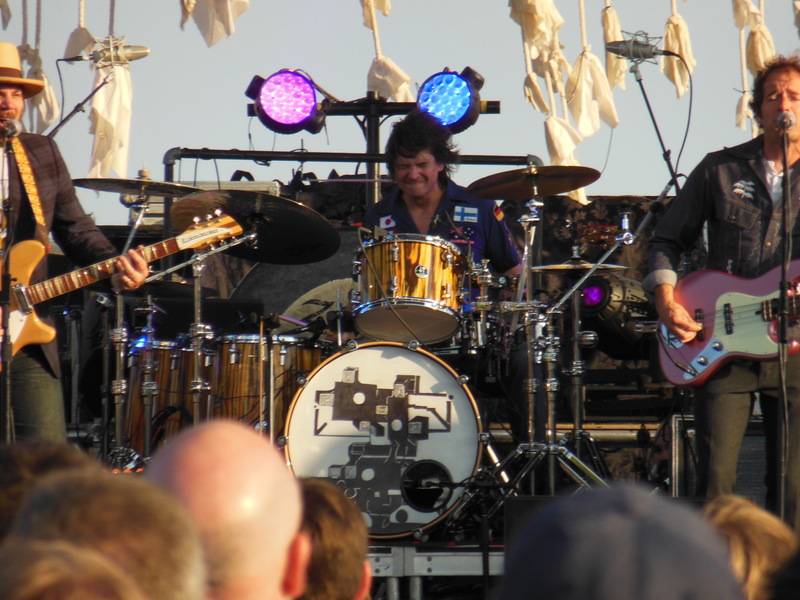 Nels Cline’s solo on “Impossible Germany” was also awesome. What a great show! 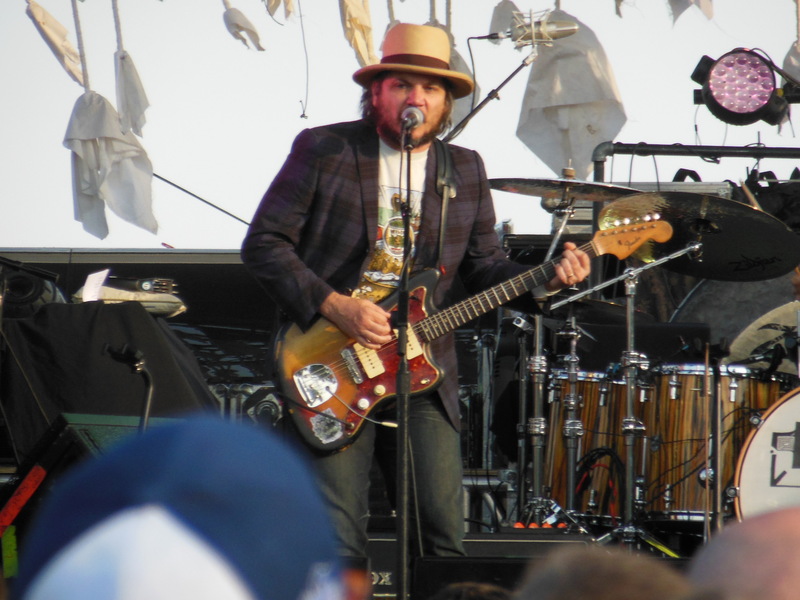 Here’s to hoping there’s a Wilco Canadian tour in the works!